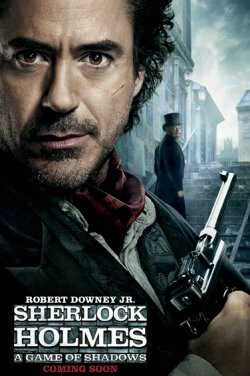 In my opinion Guy Ritchie can do no wrong and RDJ is brilliant. In this second installment of detective badassery, Holmes is face to face with Moriarty and that is what we want. Action, ‘splosions, pretty girls, quippy Watson retorts and awesome visuals. Guy Ritchie is the gentlemen’s Michael Bay, blowing things up with restraint and dignity. ‘Booked Out’ Trailer Is Online!!!! ‘Balls + Heart’!!! That’s All You Need To Know!!! This entry was posted on Friday, July 15th, 2011 at 1:01 pm	and is filed under Film, News. You can follow any responses to this entry through the RSS 2.0 feed. You can skip to the end and leave a response. Pinging is currently not allowed. « Find Out All of the 63 Annual Emmy Nominations!!! !